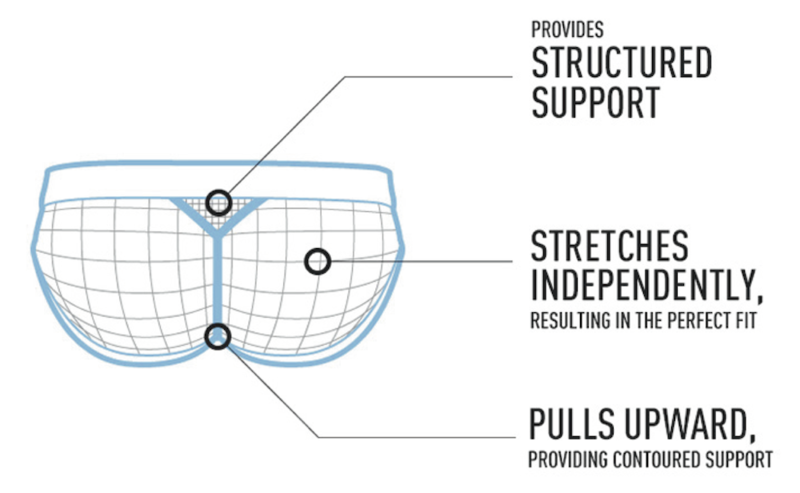 It’s been roughly two years since the first time we posted about D.HEDRAL at Men and Underwear. The post was about the launch of the brand and their first, Gigolo Joe underwear collection accompanied by some outstanding campaign shots of Thom Evans. Do you remember that campaign? No? See it here. Last week, Italian designed and made, brand D.HEDRAL released its new, Gigolo Joe II underwear collection. This collection incorporates the well-known, y-shaped, patented AngleFit Technology enhancing feature and a new, lightweight, Italian cotton blend fabric. The new collection comprises briefs (retail price £33 | $52 | €42) and trunks (retail price £34 | $54 | €44) both featuring the AngleFit Technology. At this moment there are eight colour combinations for the briefs and three for the trunks, with two sizes (S/M and L/XL) for each cut. See below the new D.HEDRAL underwear collection featured in the new campaign images from the brand.